If you’re looking for a pre-owned vehicle with exceptional quality and a great price, you’re in the right place. At Oxmoor Toyota in Louisville, Kentucky, we have a stunning selection of certified pre-owned vehicle specials, including the rugged Toyota Tacoma and sporty Toyota RAV4. There is, perhaps, no better value for your money than a Toyota Certified Pre-Owned vehicle. So what are you waiting for? Browse our used vehicle specials below, and come visit our Louisville, KY Toyota dealership for a test drive to remember. Buick Enclave 3.6L V6 SIDI VVT CARFAX One-Owner. Clean CARFAX. CLEAN CARFAX, Cruise Control, DVD Entertainment, FACTORY WARRANTY REMAINING, Hands Free Bluetooth Capability, HomeLink, LEATHER HEATED & COOLED SEATS, Local Trade, NAVIGATION, ONE OWNER, PANORAMIC MOONROOF, Premium Audio, Power Driver and Passenger Seat, Power LIftgate, REAR BACKUP CAMERA, BACKUP SENSORS, Steering Wheel Audio Controls, Touch Screen Display, WELL MAINTAINED, Enclave Premium Group, 4D Sport Utility, 3.6L V6 SIDI VVT, 6-Speed Automatic Electronic with Overdrive, FWD, White Frost Tricoat, Choccachino w/Cocoa Accents w/Perforated Leather-Appointed Seat Trim, 4-Wheel Disc Brakes, 7-Passenger Seating, 8-Way Power Driver Seat Adjuster, 8-Way Power Passenger Seat Adjuster, ABS brakes, AM/FM radio: SiriusXM, Articulating Headlights, Auto tilt-away steering wheel, Auto-dimming Rear-View mirror, Automatic temperature control, Blind spot sensor: warning, Bose Performance-Enhanced 10-Speaker System, Bose Sound System, Brake assist, CD player, Electronic Stability Control, Exterior Parking Camera Rear, Front anti-roll bar, Front dual zone A/C, Garage door transmitter, Heated & Cooled Driver & Front Passenger Seats, Heated door mirrors, Heated Steering Wheel, High intensity discharge headlights: Bi-Xenon, Illuminated entry, Leather steering wheel, Memory seat, Memory Settings, Navigation System, Overhead airbag, Perforated Leather-Appointed Seat Trim, Power driver seat, Power Liftgate, Power passenger seat, Power Tilt & Telescopic Steering Column, Power Tilt-Sliding Moonroof, Power-Folding Heated Body-Color Outside Mirrors, Premium Package, Radio data system, Rear air conditioning, Rear anti-roll bar, Rear audio controls, Rear Audio System Controls, Rear Parking Sensors, Rear Seat DVD Entertainment System, Rear window wiper, Remote keyless entry, Speed control, Steering wheel memory, Steering wheel mounted audio controls, Traction control, Ventilated front seats, Wheels: 19" Chrome-Clad Cast Aluminum. Odometer is 5934 miles below market average! Awards: * 2017 KBB.com Brand Image Awards Please CALL FOR AVAILABILITY as our inventory changes frequently (502)-855-5885. Serving Louisville Kentucky from our 4520 Shelbyville Road location as well as all surrounding areas including Lexington, Shelbyville, Elizabethtown, Clarksville Indiana and Jeffersonville Indiana. Chrysler Pacifica 3.6L V6 24V VVT Certified. FACTORY WARRANTY REMAINING, Hands Free Bluetooth Capability, HEATED SEATS, LEATHER SEATS, NAVIGATION, ONE OWNER, PANORAMIC MOONROOF, REAR BACKUP CAMERA, Pacifica Touring L Plus, 4D Passenger Van, 3.6L V6 24V VVT, 9-Speed Automatic, FWD, Bright White Clearcoat, Black/Diesel w/Premium Leather Trim Bucket Seats or Premium Leather Trim Bucket Seats, 1-Year SiriusXM Guardian Trial, 20 harman/kardon Speakers, 20 Speaker harman/kardon Sound Group, 3rd row seats: split-bench, 7 & 4 Pin Trailer Tow Wiring Harness, 760 Watt Amplifier, 8.4" Touchscreen Display, A/V remote, Apple CarPlay, Auto-dimming Rear-View mirror, Automatic temperature control, Black Badging, Black Chrysler Grille Wing Badge, Black Day Light Opening Moldings, Black Spear Applique - Rear Fascia, Black Stow N Place Roof Rack, Blind spot sensor: Blind Spot Detection warning, Body Color Door Handles, Delay-off headlights, Disassociated Touchscreen Display, Dual front side impact airbags, Emergency communication system: Uconnect Access, Entertainment system, For Details, Visit DriveUconnect.com, Front anti-roll bar, Front dual zone A/C, Front fog lights, Google Android Auto, GPS Antenna Input, GPS Navigation, Hands Free Power Liftgate, Hands Free Sliding Door & Liftgate Group, Hands Free Sliding Doors, HD Radio, Headphones, Heated front seats, Heated rear seats, Heated steering wheel, Heavy-Duty Radiator, Hitch w/2" Receiver, Illuminated entry, Integrated Voice Command w/Bluetooth, Knee airbag, Navigation System, Overhead airbag, Perf Leather Bucket Seats w/S Logo, Power driver seat, Power Liftgate, Power Open/Close Shade, Power passenger seat, Quick Order Package 27J, Radio: Uconnect 4C Nav w/8.4" Display, Rear air conditioning, Rear Parking Sensors, Rear window wiper, Reclining 3rd row seat, Remote keyless entry, S Appearance Package, S Badge, SiriusXM Satellite Radio, SiriusXM Traffic Plus, SiriusXM Travel Link, Speed control, Split folding rear seat, Steering wheel mounted audio controls, Sun blinds, Telescoping steering wheel, Tilt steering wheel, Trailer Sway Damping, Trailer Tow Group - 3,600 lb Rating, Tri Pane Panoramic Sunroof, Upper/Lower Grilles/Blk Surrounds Premium Fascia, USB Host Flip, Wheels: 18" x 7.5" Aluminum Black Noise. Odometer is 1200 miles below market average! 19/28 City/Highway MPG Please CALL FOR AVAILABILITY as our inventory changes frequently (502)-855-5885. Serving Louisville Kentucky from our 4520 Shelbyville Road location as well as all surrounding areas including Lexington, Shelbyville, Elizabethtown, Clarksville Indiana and Jeffersonville Indiana. BMW 5 Series 3.0L I6 DOHC 24V TwinPower Turbo Clean CARFAX. Hands Free Bluetooth Capability, HEATED SEATS, NAVIGATION, REAR BACKUP CAMERA, SUNROOF / MOONROOF, 535i xDrive, 4D Sedan, 3.0L I6 DOHC 24V TwinPower Turbo, 8-Speed Automatic, AWD, Mineral White Metallic, Black w/Dakota Leather Upholstery, 18" x 8.0" Light Alloy V-Spoke Wheels, Active Blind Spot Detection, Active Driving Assistant, Anti-Theft AM/FM/CD Audio System, Anti-whiplash front head restraints, Auto tilt-away steering wheel, Auto-dimming door mirrors, Auto-dimming Rear-View mirror, Automatic temperature control, Cold Weather Package, Comfort Access Keyless Entry, Dakota Leather Upholstery, Driver Assistance Package, Driver Assistance Plus, Dual front side impact airbags, Emergency communication system, Enhanced USB & Bluetooth, Front anti-roll bar, Front dual zone A/C, Front fog lights, Garage door transmitter, Genuine wood console insert, Genuine wood dashboard insert, Genuine wood door panel insert, Harman Kardon Surround Sound System, Head-Up Display, Heated Front Seats, Heated Rear Seats, Heated Steering Wheel, High intensity discharge headlights: Bi-xenon, Instrument Cluster w/Extended Contents, Lumbar Support, Memory seat, Navigation System, Overhead airbag, Park Distance Control, Power adjustable front head restraints, Power driver seat, Power moonroof, Power passenger seat, Power Tailgate, Premium Package, Rear air conditioning, Rear anti-roll bar, Rear-View Camera, Remote keyless entry, Retractable Headlight Washers, Satellite Radio, Side & Top View Cameras, Speed control, Speed Limit Info, Split folding rear seat, Steering wheel memory, Steering wheel mounted A/C controls, Steering wheel mounted audio controls, Telescoping steering wheel, Tilt steering wheel, Turn signal indicator mirrors. Odometer is 13549 miles below market average! 20/29 City/Highway MPG Please CALL FOR AVAILABILITY as our inventory changes frequently (502)-855-5885. Serving Louisville Kentucky from our 4520 Shelbyville Road location as well as all surrounding areas including Lexington, Shelbyville, Elizabethtown, Clarksville Indiana and Jeffersonville Indiana. Jeep Grand Cherokee 3.6L V6 24V VVT Certified. CARFAX One-Owner. Clean CARFAX. Hands Free Bluetooth Capability, LEATHER HEATED & COOLED SEATS, NAVIGATION, ONE OWNER, PANORAMIC MOONROOF, REAR BACKUP CAMERA, Grand Cherokee Overland, 4D Sport Utility, 3.6L V6 24V VVT, 8-Speed Automatic, 4WD, Granite Crystal Metallic Clearcoat, Black w/Leather Trim Seats w/Edge Welting, 7 & 4 Pin Wiring Harness, Anti-whiplash front head restraints, Auto High-beam Headlights, Auto-dimming door mirrors, Auto-dimming Rear-View mirror, Auto-leveling suspension, Automatic temperature control, Class IV Receiver Hitch, Dual Bright Exhaust Tips, Dual front side impact airbags, Emergency communication system: SiriusXM Guardian, Engine Oil Cooler, Front anti-roll bar, Front dual zone A/C, Garage door transmitter, Genuine wood dashboard insert, Heated rear seats, Heated steering wheel, Heavy-Duty Engine Cooling, High intensity discharge headlights: Bi-Xenon, Illuminated entry, Knee airbag, Leather Trim Seats w/Edge Welting, Memory seat, Navigation System, Overhead airbag, Power driver seat, Power moonroof, Power passenger seat, Quick Order Package 2BP, Radio: Uconnect 4C Nav w/8.4" Display, Rear anti-roll bar, Rear window wiper, Remote keyless entry, Speed control, Split folding rear seat, Steering wheel mounted audio controls, Telescoping steering wheel, Tilt steering wheel, Turn signal indicator mirrors, Ventilated front seats, Wheels: 20" x 8.0" Tech Gray Aluminum. Please CALL FOR AVAILABILITY as our inventory changes frequently (502)-855-5885. Serving Louisville Kentucky from our 4520 Shelbyville Road location as well as all surrounding areas including Lexington, Shelbyville, Elizabethtown, Clarksville Indiana and Jeffersonville Indiana. Jeep Cherokee 3.2L V6 Certified. CARFAX One-Owner. Clean CARFAX. FACTORY WARRANTY REMAINING, Hands Free Bluetooth Capability, HEATED SEATS, LEATHER SEATS, NAVIGATION, ONE OWNER, PANORAMIC MOONROOF, REAR BACKUP CAMERA, Cherokee Trailhawk Elite, 4D Sport Utility, 3.2L V6, 9-Speed 948TE Automatic, 4WD, Diamond Black Crystal Pearlcoat, Black w/Premium Leather Trimmed Bucket Seats, 1-Year SiriusXM Guardian Trial, 4G LTE Wi-Fi Hot Spot, 5-Year SiriusXM Traffic Service, 5-Year SiriusXM Travel Link Service, 8.4" Touchscreen Display, Anti-whiplash front head restraints, Apple CarPlay, Auto-Dimming Rear-View Mirror, Automatic temperature control, AutoStick Automatic Transmission, Auxiliary Transmission Oil Cooler, Blind spot sensor: Blind Spot Monitoring System warning, Dual front side impact airbags, Exterior Mirrors w/Memory, For Details Visit DriveUconnect.com, Front anti-roll bar, Front dual zone A/C, Front fog lights, Google Android Auto, GPS Antenna Input, GPS Navigation, Hands-Free Power Liftgate, HD Radio, Heated Front Seats, Heated Steering Wheel, Hill Descent Control, Illuminated entry, Integrated Voice Command w/Bluetooth, Knee airbag, Navigation System, Overhead airbag, Power driver seat, Power Driver/Passenger 4-Way Lumbar Adjust, Power Front Driver/Passenger Seats, Power Front/Fixed Rear Full Sunroof, Premium Alpine Speaker System, Premium Leather Trimmed Bucket Seats, Quick Order Package 2ZL Trailhawk Elite, Radio/Driver Seat/Exterior Mirrors Memory, Radio: Uconnect 4C Nav w/8.4" Display, Rear anti-roll bar, Rear Parking Sensors, Rear side impact airbag, Rear window wiper, Remote keyless entry, Remote Start System, Security Alarm, SiriusXM Satellite Radio, SiriusXM Traffic Plus, SiriusXM Travel Link, Speed control, Split folding rear seat, Steering wheel mounted audio controls, Telescoping steering wheel, Tilt steering wheel, Tonneau Cover, Turn signal indicator mirrors, Universal Garage Door Opener, USB Host Flip, Ventilated Front Seats, Wheels: 17" x 7.5" Black Painted Aluminum, Windshield Wiper De-Icer. Odometer is 3657 miles below market average! Please CALL FOR AVAILABILITY as our inventory changes frequently (502)-855-5885. Serving Louisville Kentucky from our 4520 Shelbyville Road location as well as all surrounding areas including Lexington, Shelbyville, Elizabethtown, Clarksville Indiana and Jeffersonville Indiana. Ford F-250SD Power Stroke 6.7L V8 DI 32V OHV Turbodiesel CARFAX One-Owner. Clean CARFAX. Hands Free Bluetooth Capability, LEATHER HEATED & COOLED SEATS, NAVIGATION, ONE OWNER, REAR BACKUP CAMERA, SUNROOF / MOONROOF, LEVELING 2 INCH LIFT KIT!, F-250 SuperDuty Lariat, 4D Crew Cab, Power Stroke 6.7L V8 DI 32V OHV Turbodiesel, TorqShift 6-Speed Automatic with Overdrive, 4WD, Bronze Fire Metallic, Adobe w/Premium Leather Seating Surfaces 40/Console/40, 20" Chrome Clad Cast Aluminum Wheels, 6" Angular Chrome Step Bars, Auto-dimming Rear-View mirror, Colored Front & Rear Rancho Branded Shocks, Dual front side impact airbags, Exterior Parking Camera Rear, Extra Heavy-Duty 200-Amp Alternator, Front anti-roll bar, Fully automatic headlights, FX4 Off-Road Package, Hill Descent Control, Lariat Interior Package, Lariat Ultimate Package, Memory Power Adjustable Pedals, Memory Power Heated/Cooled Driver's Seat, Memory PowerScope Trailer-Tow Mirrors, Navigation System, Overhead airbag, Power driver seat, Power Heated/Cooled Passenger Seat, Power Moonroof, Power passenger seat, Premium audio system: Sony, Radio: Premium Sony Audio w/Single CD, Remote Start System(s), SiriusXM Satellite Radio, Speed control, Split folding rear seat, Steering wheel mounted audio controls, SYNC w/MyFord Touch & SYNC Services, Tailgate Step & Handle, Telescoping steering wheel, Tilt steering wheel, Tough Bed Spray-In Bedliner, Turn signal indicator mirrors, Universal Garage Door Opener, Upfitter Switches (4), Voice Activated Navigation. Odometer is 31544 miles below market average! Awards: * 2015 KBB.com Brand Image Awards Please CALL FOR AVAILABILITY as our inventory changes frequently (502)-855-5885. Serving Louisville Kentucky from our 4520 Shelbyville Road location as well as all surrounding areas including Lexington, Shelbyville, Elizabethtown, Clarksville Indiana and Jeffersonville Indiana. Jeep Wrangler 3.6L V6 24V VVT Certified. CARFAX One-Owner. Clean CARFAX. Cruise Control, FACTORY WARRANTY REMAINING, Hands Free Bluetooth Capability, LOW MILES, ONE OWNER, REAR BACKUP CAMERA, Steering Wheel Audio Controls, Touch Screen Display, Wrangler Unlimited Sahara, 4D Sport Utility, 3.6L V6 24V VVT, 8-Speed Automatic, 4WD, Bright White Clearcoat, Black w/Cloth Low-Back Bucket Seats, 4-Wheel Disc Brakes, 8 Speakers, ABS brakes, AM/FM radio: SiriusXM, Anti-Spin Differential Rear Axle, Black 3-Piece Hard Top, Blind Spot & Cross Path Detection, Brake assist, Dual front side impact airbags, Electronic Stability Control, Front anti-roll bar, Front fog lights, Garage door transmitter, Heated door mirrors, Heavy Duty Suspension w/Gas Shocks, Illuminated entry, Integrated roll-over protection, Leather steering wheel, ParkSense Rear Park Assist System, Quick Order Package 24G, Radio data system, Radio: Uconnect 4 w/7" Display, Rear anti-roll bar, Rear Window Defroster, Rear Window Wiper/Washer, Remote keyless entry, Remote Proximity Keyless Entry, Safety Group, Security system, Steering wheel mounted audio controls, Telescoping steering wheel, Tilt steering wheel, Traction control, Wheels: 18" x 7.5" Polished w/Gray Spokes. Odometer is 884 miles below market average! Please CALL FOR AVAILABILITY as our inventory changes frequently (502)-855-5885. Serving Louisville Kentucky from our 4520 Shelbyville Road location as well as all surrounding areas including Lexington, Shelbyville, Elizabethtown, Clarksville Indiana and Jeffersonville Indiana. ***MAZDA CERTIFIED***7 YEAR/100,000 MILE LIMITED WARRANTY***ONE OWNER***CLEAN CARFAX***BALANCE OF FACTORY WARRANTY APPLIES***GPS NAVIGATION SYSTEM***REAR VIEW CAMERA MAKES PARKING EASY***LOW MILES, WELL CARED FOR VEHICLE***AM FM CD AUDIO SYSTEM WITH BLUETOOTH MUSIC STREAMING, AUX INPUT JACK AND USB PORT***STEERING WHEEL MOUNTED AUDIO AND CRUISE CONTROLS, BLUETOOTH FOR HANDS-FREE PHONE***SHARP LOOKING ALUMINUM ALLOY WHEELS***HATCHBACK DESIGN GIVES YOU GREAT UTILITY AND FLEXIBILITY***EPA RATED 27 MPG CITY, 32 MPG HIGHWAY***POWER WINDOWS AND LOCKS, REMOTE KEYLESS ENTRY WITH PUSH-BUTTON START***STABILITY CONTROL, TRACTION CONTROL, ANTI-LOCK BRAKE SYSTEM***FULL ARRAY OF AIRBAGS FOR YOUR FAMILY'S SAFETY AND PROTECTION, AND YOUR PEACE OF MIND***2016 Mazda CX-3 Sport 4D Sport Utility, SKYACTIV®-G 2.0L 4-Cylinder DOHC 16V, 6-Speed Automatic, 4-Wheel Disc Brakes, Brake assist, Delay-off headlights, Dual front impact airbags, Dual front side impact airbags, Emergency communication system, Front Bucket Seats, Illuminated entry, Low tire pressure warning, Occupant sensing airbag, Outside temperature display, Overhead airbag, Panic alarm, Power door mirrors, Rear window defroster, Rear window wiper, Split folding rear seat, Spoiler, Telescoping steering wheel, Tilt steering wheel, Variably intermittent wipers. CARFAX One-Owner. Awards: * 2016 IIHS Top Safety Pick+ ***THE MAZDA CERTIFIED PRE-OWNED PROGRAM offers you benefits such as: Thorough 160-point vehicle by Mazda certified or authorized technicians. 24 Hour Roadside Assistance, 7 days a week. 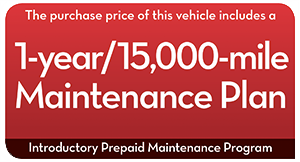 A Manufacturer-backed 7 Year/100,000 mile Limited Power Train Warranty (from original in-service date). A Manufacturer-backed 12 month/12,000 Additional Limited Warranty (from Certified Purchase Date). Plus Zero Deductible for covered repairs. Disclaimer: New vehicle pricing includes all offers and incentives. Tax Title and Tags not included in vehicle prices shown and must be paid by the purchaser. While great effort is made to ensure the accuracy of the information on this site errors do occur so please verify information with a customer service rep. This is easily done by calling us at (502) 565-0086 or by visiting us at the dealership. **With approved credit. Terms may vary. Monthly payments are only estimates derived from the vehicle price with a month term % interest and % downpayment. When you shop for a used car or new Toyota vehicle at Oxmoor Toyota, you can be certain you’re getting the fairest prices around. In fact, we employ internet e-pricing to compare our prices with other dealerships in the area to ensure you’re getting the lowest price possible. Many of our new and used vehicles have built-in discounts, and you can even use our handy payment calculator to see how low your monthly payments will be. Finally, be sure to use our value your trade service to see how much we’ll pay you for your trade-in vehicle. Give our Louisville, KY dealership a call to learn more about the purchasing experience. Now that you’ve found some used cars you like, you’ve checked out the payments, and you know how much your trade is worth, talk to the friendly folks at our Louisville, KY auto finance center now. We have everything you need to get you a great deal on the perfect pre-owned vehicle for you. Call today or fill out our secure online auto finance application right away.